If you listened to yesterday's podcast you caught me having a senior moment while discussing some of my ink reviews. I did a batch of three reviews in one sitting and when I was discussing the inks with Myke I was thinking I had published at least two of them on the blog. Well, now I can say that I actually have. 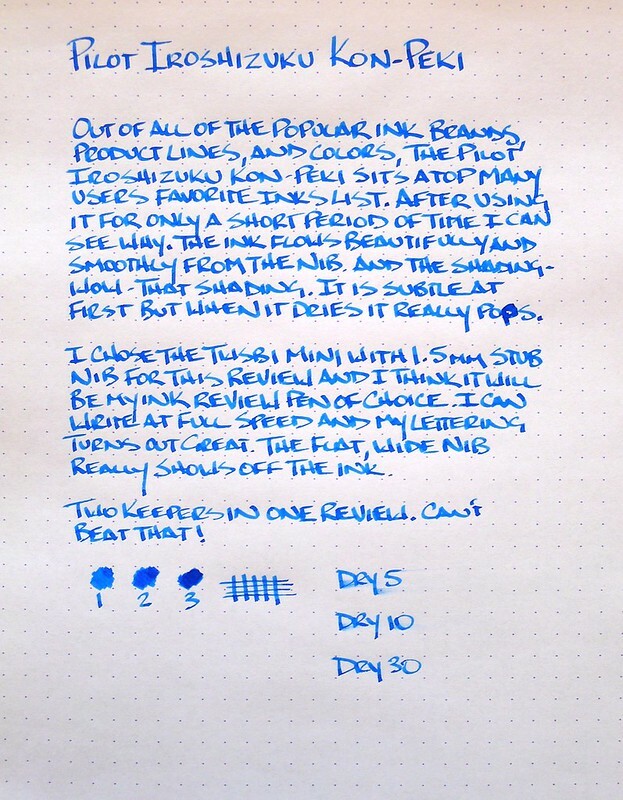 Pilot Iroshizuku Kon-Peki is one of the most popular inks on the market, and in one short review, I can see why. The rich, bright blue is stunning, and the shading is simultaneously subtle and exceptional. What really impressed me though was how well the ink behaved from the nib. Once again, I used my TWSBI Mini 1.5 mm stub nib for the review and found it the perfect choice. The ink flow was smooth and consistent - not too dry, and not too wet. 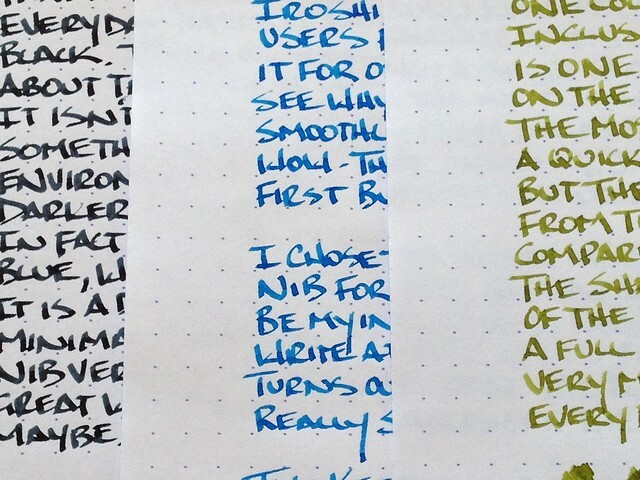 If all Iroshizuku inks behave this well I am going to be in serious trouble. Posted on February 21, 2013 by Brad Dowdy and filed under Ink Reviews, Pilot, Iroshizuku.